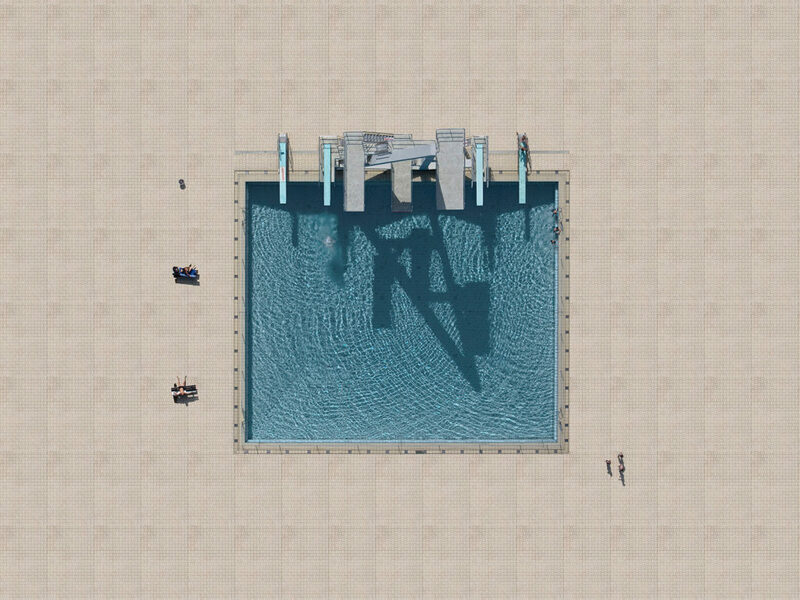 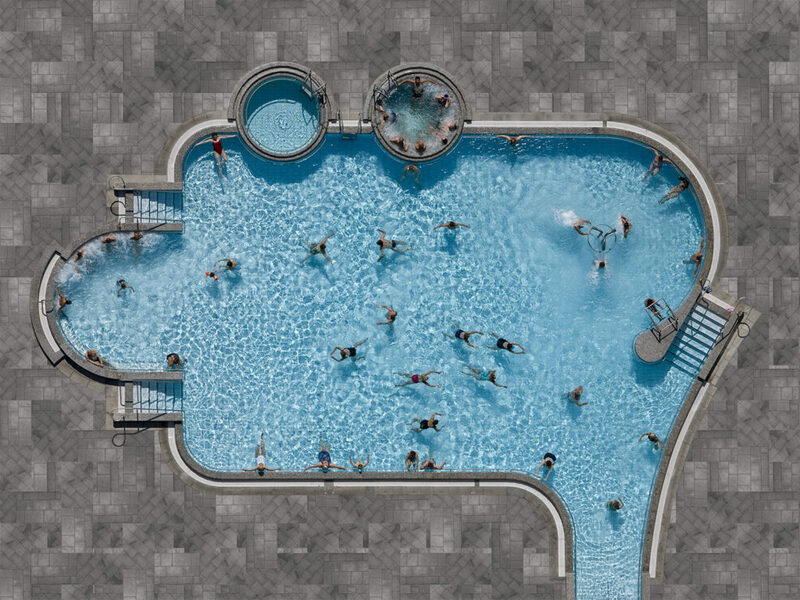 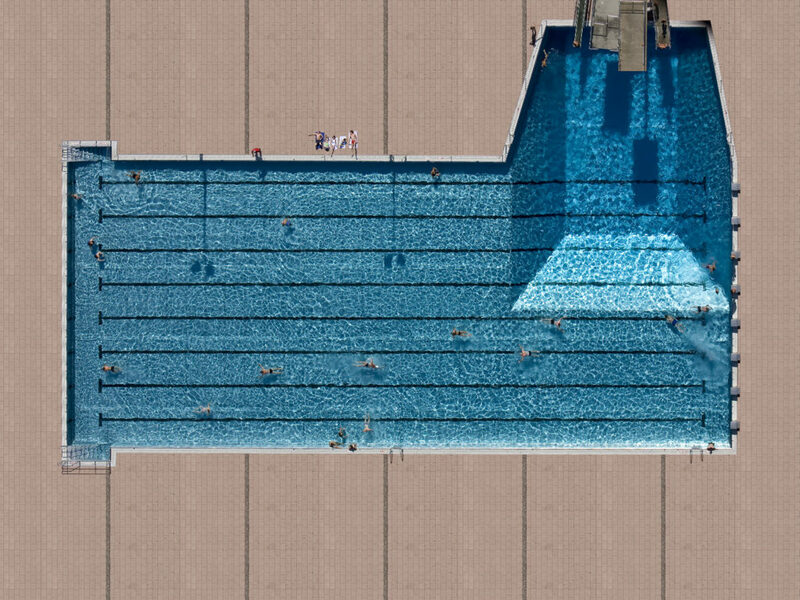 Stephan Zirwes has a thing for aerial photography. 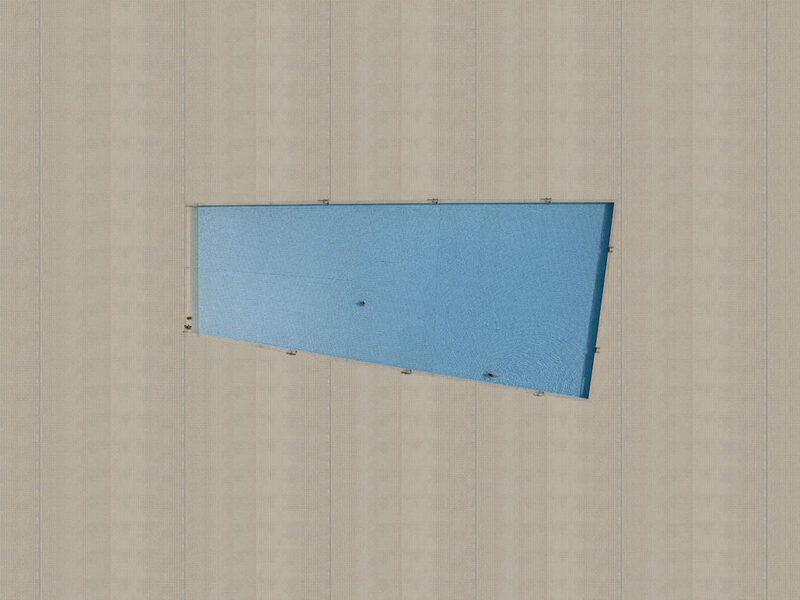 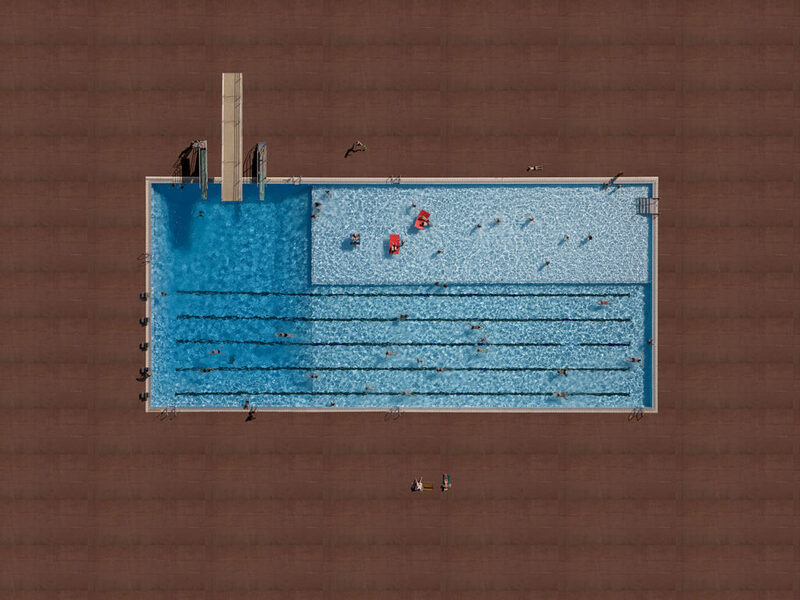 He loves seeing the patterns in mundane places like golf courses, soccer fields and swimming pools. 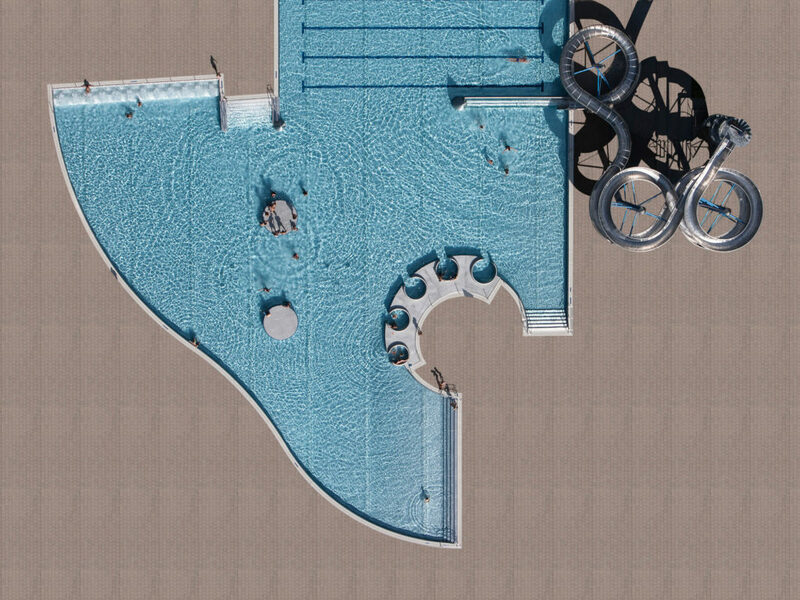 “Pools often have nice structures and sometimes also strange designs,” he says. 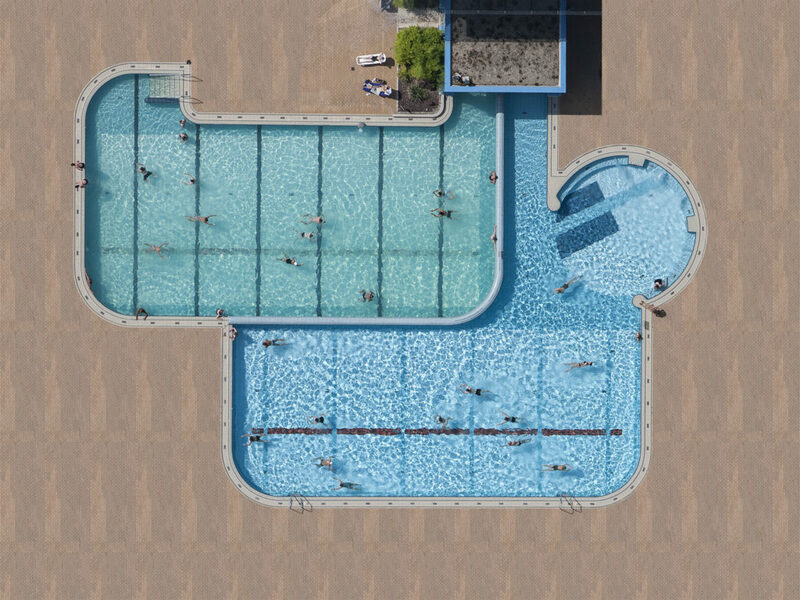 Revealing these designs required carefully shooting his Hasseblad 50Mp from the window of a helicopter hovering 1,000 feet above pools in cities throughout southern Germany. 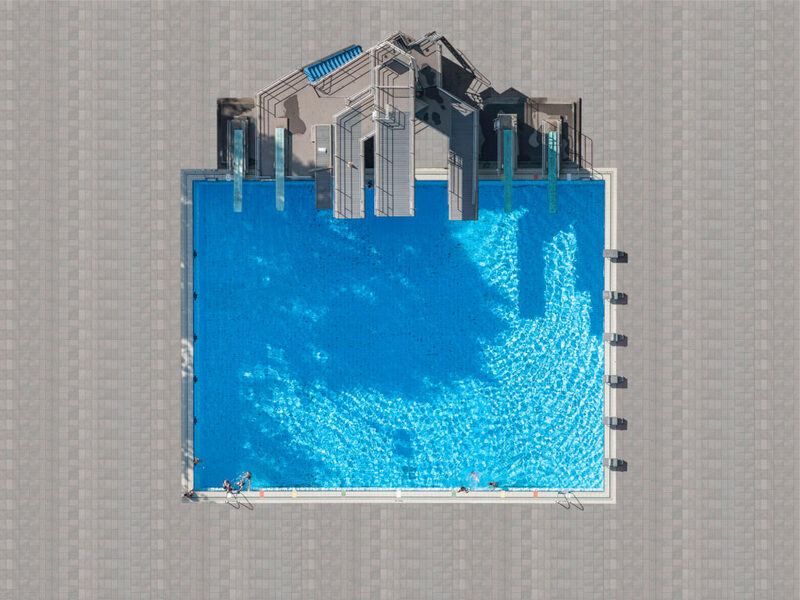 That’s close enough to capture swimmers, diving boards, water slides and umbrellas in sharp detail, but not so close it freaks people out. 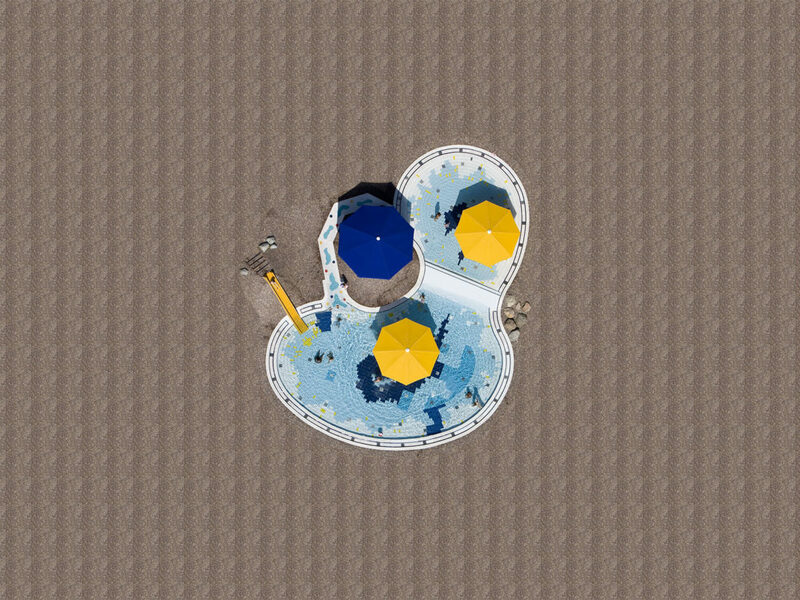 “I don’t want to disturb the public,” he says. 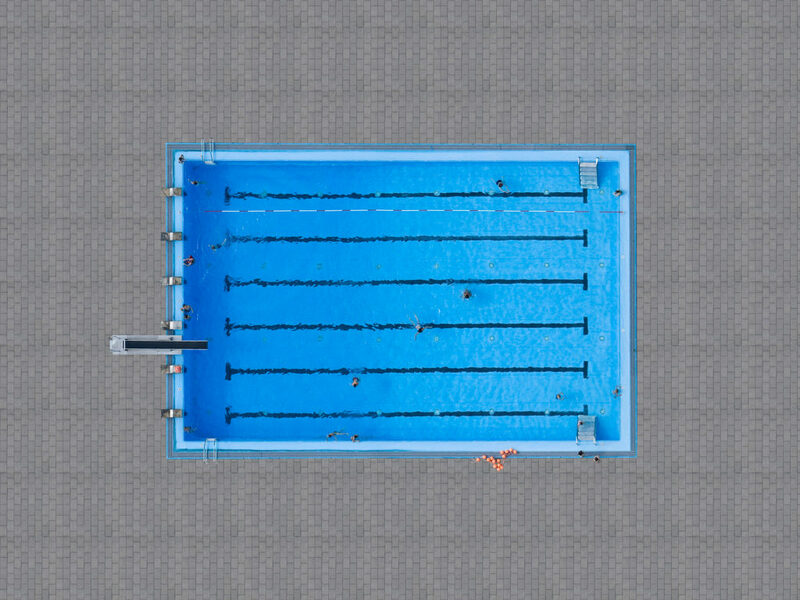 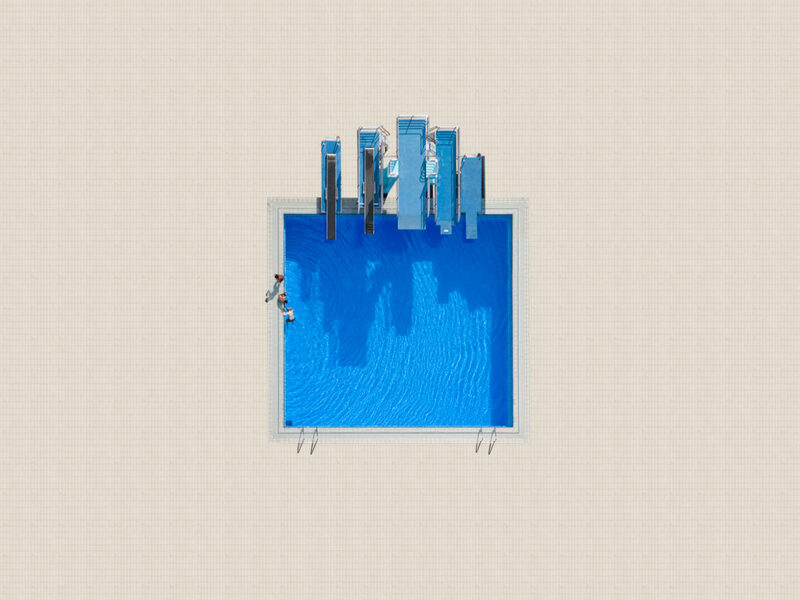 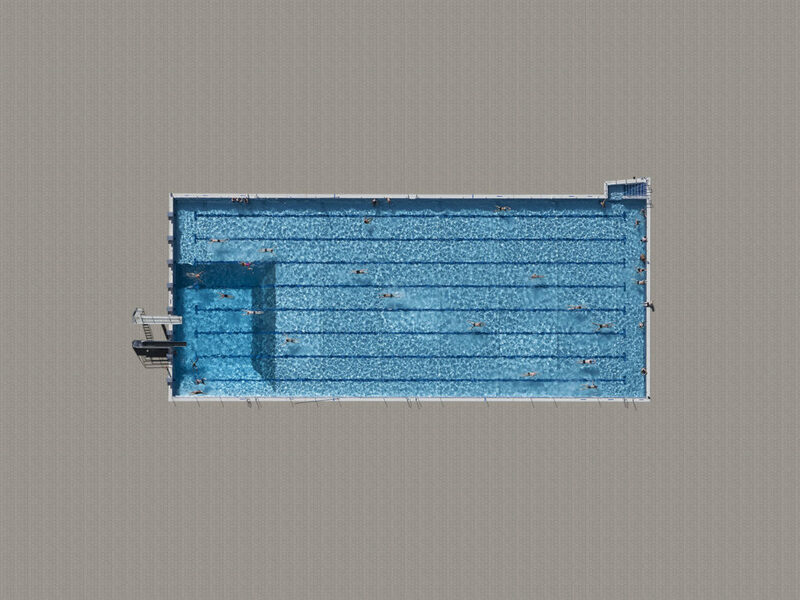 Zirwes uses Photoshop to eliminate distractions like buildings and make a patterned “frame” of the surrounding title, transforming an ordinary swimming pool into a lovely minimalist scene.